Every visit to SKINERGIZE should be to address your current skin care need. Our skin continuously changes due to the passing of time, seasons, and the daily trials of life. Come to escape, rejuvenate and take a step towards health and wellness in a totally private and relaxed setting. Achieve winter radiance with this illuminating, brightening facial. 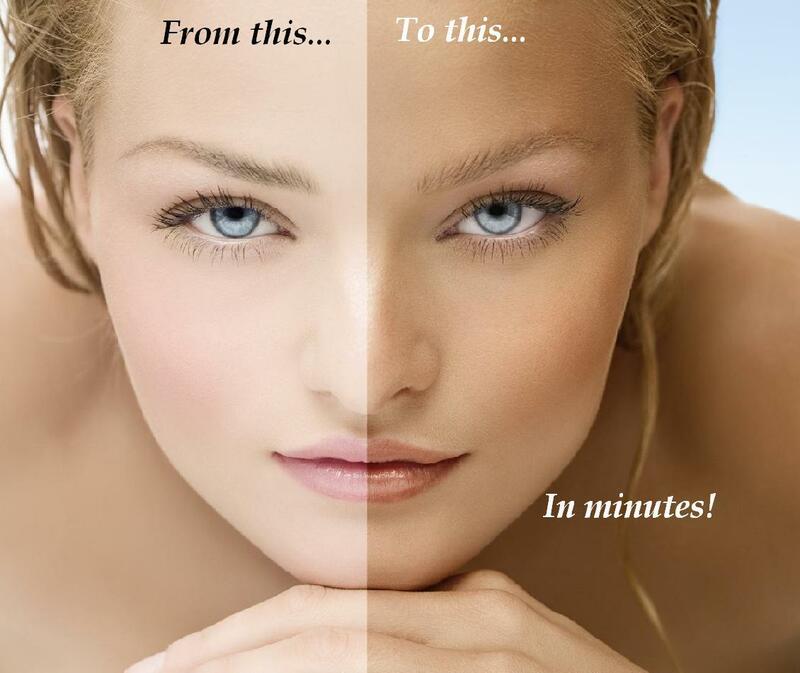 The perfect treatment to help slough away the summer sun damage and begin the holiday season with brilliance and glow! Get ready to ring in the holiday season with luminous and glowing skin! This treatment will brighten and oxygenate even the most winterized skin, leaving it smooth, plump and incredibly hydrated! Need a little extra hydration in the fall and winter months? This tropical scented enzymatic lift will take you on a mini vacation to hydrate, firm and brighten your skin. New and Improved! This Pumpkin Peel is a favorite, not only for its heavenly scent, but the results to match! Pumpkin Peel Multi Fruit layered with Intense Brightening Peel. A blend of Alpha Hydroxy Acids and Bilberry slough off dead skin cells and reveal a brighter, softer, smoother looking skin. Neck and shoulder massage included. Amazing treatment which concludes with a Biomolecular Anti-Aging or Hydrating Hydrogel Mask infused with volcanic water, brightening botanicals, peptides, amino acids, and antioxidants for the ultimate skin transformation. This mask will leave your skin luminous with intense hydration and brightness like no other mask offers! Included in the deep exfoliation you'll receive with the Signature Lift, a 20 minute customized IMAGE Skincare Biomolecular Sheet Mask will be applied to your skin for the ultimate in skin rejuvenation. Great for most skin types including Rosacea, Dry/Dehydrated skin. Amazing treatment which concludes with a Biomolecular Anti-Aging or Hydrating Hydrogel Mask infused with volcanic water, brightening botanicals, peptides, amino acids, and antioxidants for the ultimate skin transformation. This mask will leave your skin luminous with intense hydration and brightness like no other mask offers! Included with the already fabulous Max Stem Cell Facial treatment, you will love the 20 minute customized IMAGE Skincare Biomolecular Sheet Mask applied to your skin for the ultimate in skin rejuvenation. Great for fine lines, loss of elasticity, dull skin. Your skin is infused with 95% pure Oxygen, Vitamins, Antioxidants, & Hyaluronic Acid. Mechanically applied with the Intraceuticals Oxygen machine to penetrate deep into your skin working at the cellular level to boost cell renewal. Leaves your skin feeling super hydrated and looking radiant. Perfect for the winter dryness, or whenever your skin needs extra hydration and rejuvenation. Amazing treatment which concludes with a Biomolecular Anti-Aging or Hydrating Hydrogel Mask infused with volcanic water, brightening botanicals, peptides, amino acids, and antioxidants for the ultimate skin transformation. This mask will leave your skin luminous with intense hydration and brightness like no other mask offers! If you love to be pampered, then try the new and improved version of the Rejuvenating Facial which includes a 20 minute customized IMAGE Skincare Biomolecular Sheet Mask applied to your skin for the ultimate in skin rejuvenation. Exfoliate, Refresh and Renew for all skin types. After just one treatment you'll know why Vitamin C is a must have anti-aging ingredient. This amazing Vitamin C treatment blended with alpha-hydroxy acids and plant stem cells lightens, brightens and tightens your skin. This is the perfect facial to reduce redness, deeply hydrate and treat photo-aged skin. Cleanse, exfoliate, facial massage, masque, moisturize and hydrate. Includes essential oil warm stone therapy neck and shoulder massage and hand massage. Extractions included. Cleanse, exfoliate, facial massage, masque, moisturize and hydrate. Essential oil neck and shoulder massage. Extractions not included. This results-oriented clinical treatment erases wrinkles, pigmentation and tightens loose skin. Leaving the skin brighter, tighter, toned and ready for that daring neckline! This can be added to any facial for $25. Cleanse, exfoliate, extractions, masque, hydrate. Short on time but skin needs a quick freshen up before that special date or event? Skin is polished smoothed removing dead skin cells and excess oils using Enzymes or Alpha Hydroxy Acids. Cleanse, exfoliate, extractions, warm stone massage, masque, hydrate. Treat your hands, lips, neck and face with more intensity, or add a peel or extractions to any facial and take your experience to the next level! Scheduled appointments to purchase and pick up products. This luxurious oxygen skin care service infuses oxygen, plant-derived stem cells, peptides and a high concentration of enzymatic botanicals into the skin leaving it luminous, refreshed and rejuvenated. PERFECT FOR All SKIN TYPES. A Papaya, Pineapple, Pumpkin and Mango blend of organic and medically effective ingredients to re-balance tired, stressed and dull-looking skin. This non-chemical peel regenerates, restores and soothes with organic ingredients. PERFECT FOR UNBALANCED, TEENS, SENSITIVE AND MOST SKIN TYPES. This revolutionary 4-layer Signature facelift will truly change the image of your skin. High doses of Vitamin C, Glycolic Acid and gentle but highly active Enzymes speed up cellular turnover and brighten, tighten, and lighten your skin. A cocktail of pharmaceutical grade ingredients for a “facelift” without a doctor! PERFECT FOR DRY/DEHYDRATED, REDNESS, AND SENSITIVE SKIN TYPES. Our Correction, Prevention and Nutrition system targets fine lines, wrinkles, loss of elasticity and dull, sallow skin. PERFECT FOR ANTI-AGING, AGING SKIN, RESTORING AND BALANCING SKIN. This highly effective treatment blends lactic and kojic acids with a cocktail of botanical lightening and brightening agents to correct sun spots, brown spots and the redness caused by Rosacea. PERFECT FOR SUN-DAMAGED AND OTHER HYPERPIGMENTATION. Includes a Pre and Post-Peel Kit. IMPORTANT: If you are not currently using IMAGE prep products, a Pre-Kit must be picked up and started 2 weeks before your scheduled peel. This ultra-resurfacing glycolic & retinol treatment exfoliates dead surface skin cells, leaving skin firm and healthier. Visibly reduces the appearance of fine lines. Perfect FOR AGING SKIN, FINE LINES AND WRINKLES, ROUGH OR SUN-DAMAGED SKIN. Includes a Pre and Post Peel kit. IMPORTANT: If you are not currently using IMAGE prep products, a Pre-Kit must be picked up and started 2 weeks before your scheduled peel. This is an exclusive blend of Alpha and Beta Hydroxy acids and Retinols combined with powerful anti-oxidants, correcting peptides and plant-derived stem cells to create "perfection" when treating advanced pigmentation and aging conditions. PERFECT FOR ADVANCED AGING AND ADVANCED PIGMENTATION. Includes a Pre and Post-Peel Kit. IMPORTANT: If you are not currently using IMAGE prep products, a Pre-Kit must be picked up and started 2 weeks before your scheduled peel. A thorough Consultation and Evaluation of skin condition, health history, diet and nutrition that will help to achieve clear skin. Guidelines are presented in a complete take-home package followed by an initial customized service. A Consultation/Evaluation to determine your skin condition and describe a specific Acne program including recommended products, diet, nutrition, acne aggressors and a take home skin care packet with guidelines to get clear. This acne service is available to those who have been through the Initial Consultation/Evaluation or are currently using the Face Reality products. Each customized acne facial or peel has a specific focus on what your skin condition needs at the time of service, whether it is Acne or Redness caused by or related to acne. Optimum results in 3 treatments, 2 weeks apart. Back Acne treatments. This is a standalone treatment and not an add-on to an Acne Facial Treatment. Oxygen-infused serum to hydrate and soothe the skin while using a Diamond Tip Microdermabrasion wand to polish the skin back to health. This treatment begins with a thorough cleansing, finishing with a customized masque and hydration for skin that looks smooth and radiant! Microdermabrasion meets oxygen therapy for instantly radiant skin. Dead skin cells are lifted with an enzymatic facial peel followed by a traditional diamond tip microdermabrasion treatment. A cutting edge oxygenating infused masque with plant-derived stem cells, will leave your skin exfoliated, oxygenated and illuminated, giving you a breath of fresh skin! Amazing treatment which concludes with a Biomolecular Anti-Aging or Hydrating Hydrogel Mask infused with volcanic water, brightening botanicals, peptides, amino acids, and antioxidants for the ultimate skin transformation. This mask will leave your skin luminous with intense hydration and brightness like no other mask offers! Included in your Microdermabrasion treatment, you will conclude this service with a 20 minute customized IMAGE Skincare Biomolecular Sheet Mask applied to your skin for the ultimate in skin rejuvenation. Great for fine lines, hyperpigmentation, dull skin. Experience the radiant health and beauty that comes from a far infrared heat Sauna. Optical lighting, Spa Music, and Essential Oil Aromatherapy provides a sense of calm, reducing stress while burning away calories, removing pain and toxins, while improving overall skin tone and circulation. Includes towels, wrap, and light shower, if desired after treatment. Facial, massage, & body wrap. The positive transformations you will love so much. For all types of skin, regardless of color and carnation, designed treatment for bring up the beauty and eliminate imperfections. Hydrating steam and mask for refreshment and complexion. Excellent choice when short of time and want "quick pick-me up"
European Facial -Deep Cleansing followed by "Lifting Duo Treatment a bio-cosmetical care combination with Face Lifting Mask and Face Lifting Concentrate. This is effective treatment for "special ocasions when you want to look your very best"
Using unique Dr. M. Rimpler's genuine Beauty Minerals for most difficult skin conditions even shortly after surgery. This treatment improves lymphatic drainages, blood circulation and cellular functions. Use of "No crystals Microdermabrasion Cream" reach in Oxygen Plasma, MSM and additional nutra-ingredients. Remove all dead skin from face, beneficial for acne scarring, large pores, sun damaged skin, fine lines and razor bumps. In prices is included Post Peeling Treatment maintenance. Revitalize skin exposed to everyday pollutions. Extremely helpful for acneic, sluggish, hyper pigmented or dull skin. Enzymatic surface exfoliation combined with bioactive serum is providing improvement to dry, keratic, oily, combination, problem and acne skin, includes extractions. Designed to treat fine lines, wrinkles, brown spots, pigmentation,dull skin and pox scars.Work on acne scares congested blemished skin and enlarged pores. More gentle exfoliation, and may be added to any facial. Non-surgical face lift. Combine Quantum Electro-Ionization and Plasma Ablation treatments. Excellent for treating rough textured skin, aging and dehydrated skin, acne and oily skin, scar tissue and loss of elasticity. Promotes collagen production, improves skin metabolism and treat sun damaged skin. Break up skin impurities, stimulates blood flow and tones underlying muscles. Tightened and firm skin. The LED light therapy is similar to laser treatment without the after treatment healing of treated area. This procedure will cause increased natural collagen production, reduction of fine lines, age spots and sun damage. Reduces hyperpigmentation, pore size. Results often immediate. No downtime, no discomfort and completely safe. Effective treatment to cleanse and clear problem areas by loosening impactions, refining pores and healing skin breaks.Usage of extracts of Seaweeds and Algae with anti-oxidant mask complete treatment. Salt scrub naturally exfoliate skin hydrate and lessens wrinkles. Dead Sea Salt contains 30% of minerals. The composition of salt and minerals brings the skin to glow, balance skin, and attract moisture to dry skin and control oily skin. Sea Weeds derived cream or Clay applied all over the body, wrapped after into Space Blanket (Astrofoil).The blanket reflects back 90% of the body heat. This detoxify and shape the body. Reduces body water retention. Application by massage Dead Sea Mud over the body and wrapping in thermal blanket allow the mud minerals to work. The treatment will relax your mind, detoxify your body and rejuvenate your spirit. Excellent detoxifying treatment. The whole body is wrapped in fleece sheet soaked in infusion of Allspice, Lavender, Calendula Petals, Clove, Rosemary Eucalyptus and Ginger Root. The sheet is kept warm for 30 minutes in Steam cabinet. Tone and energize, release all toxins from lymph system. Warm algae rich in iodine, vitamins, minerals and proteins is applied to the body and wrapped for 25 minutes in Thermal blanket. Treatment is finished with application of skin moisturizer. Treat yourself or loved ones to relaxing massage session. Therapeutic massage targeting chronic muscle tension. It is deeply intense and not relaxing. Not recommended to "first timers"
Feet, hands and ears massage utilizing pressure points "map"
Gentle pulsating massage directed to specific areas of the body moving lymphatic fluid to circulation.Improves metabolic exchanges. Relieve tensions and ease discomfort during pregnancy. Not recommended during the first trimester. Combination of heat and pressures bring relief to sore and stiff muscles. Reduction of cellulites, eliminate water retention and all over body slimming. GX99 treatment with E-aroma Body Oils.For better results treatment has to be repeated several times. Remove most toxins from the body, eases water retention and causes loss of fat cells. Forces the body to burn stored fat, it breaks down fat reserves.Repeated use with proper diet will reduce overall fat cells. Forces the body to burn stored fat, it breaks down fat reserves. Repeated use with proper diet will reduce overall fat cells. Sudatonic breaks down fat reserves, thereby eliminating excess fat. Over time, with repeated use and improved eating habits fat cells return to their normal shape. It is a rapid perfect body shape (alternative to liposuction surgery. Pain free - quick and easy way of losing inches! Use of electrical galvanic current to disable hair follicles. Exclusive treatments for finger nails and toe nails. Eight Steps into Haven. Combats stress and fatigue and give the feet feeling "of walking on clouds"
Pad, lotion and cream, mask and pack-mask. Get the look you desire. Price is established during consultation and depends of hair length and thickness. The ultimate romance-inspired treatment with rose petals over massage tables and ambient candlelight. After exfoliation iron rich Sedona Mud is applied on entire body and wrapped in warm blankets for 45 minutes. Treatment ending with application of moisturizer. Combination of Swedish & Deep tissue muscle therapy with gentle stretching to help promote balance within the body. Microcurrent—an alternative to Botox, Restylne and Juve’derm—is a non-surgical anti-aging treatment using an electrical current that mimics that of a person’s body. Each session causes the body to produce collagen and elastin while also re-educating the facial muscles to tighten and strengthen, which smooths lines and wrinkles, all without any downtime. Begin with a double cleansing, exfoliation, extractions (as needed) pressure point massage, hydrating mask, customized serums and eye creams with spf to protect the skin. A deeper level of exfoliation using Alpha Hydroxy Acids to reveal healthy glowing skin & improve fine lines and age spots. 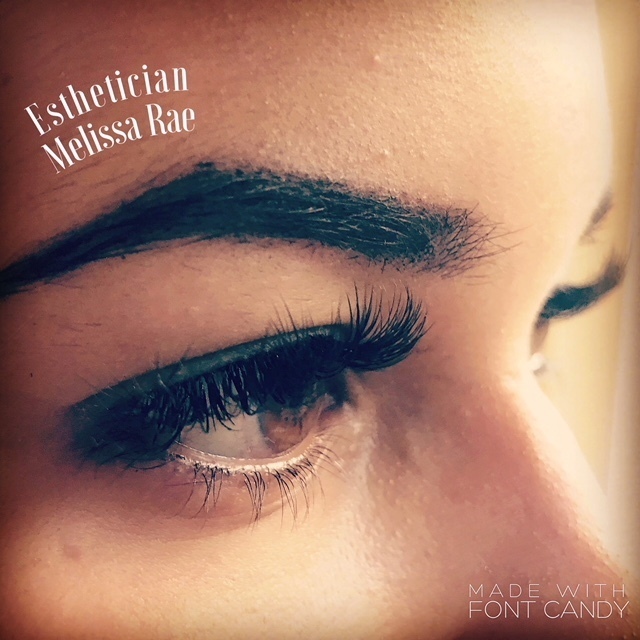 Each treatment is customized for every client. Hydradermabrasion treatments are highly effective in improving the skin's texture, reducing fine lines and wrinkles, and giving deeper hydration to the skin.Diamond tip microdermabrasion is followed with serum infusion to help lighten - hydrate & brighten the skin. Shibui is a charming, rustic spa built in the 1970's with private outdoor tubs and sauna. The facilities are surrounded by tall trees, cascading ivy, a sweet garden and light Japanese decor that lends to the serene atmosphere. Professional massage therapista skilled in a variety of modalities are on hand to deepen your relxation or to enhance and speed a healing process. The spa is conveniently located in downtown San Anselmo close to many restaurants, yet set back from the main road. Under the "Basic" price category are Swedish, Deep Tissue, Sports, Lomi Lomi, Pregnancy, Ayurvedic, and Reflexology styles of bodywork. (in the field 20 years or more with years of additional training) are $90 for 55 minutes. The hot soak before receiving the massage penetrates and opens the tissues enabling the bodywork to be that much more effective. A 25-minute hot tub or sauna can be added to any length of massage at a discount of $10. For more in depth descriptions of each modality, click on the name of the style you're interested in. There are several modalities included under the heading, "Basic" Massage that offer a relaxing and therapeutic session to each person. They release tension, open the circulation, stimulate the release of toxins and reduce aches and pains. Prenatal, Sports,or Lomi Lomi massage. Choose from Visceral/Organ massage, Lymphatic, Neuromuscular therapy, Brain/Spine Integration, Cranial Sacral Therapy, Manual Medicine, or Shiatsu to combine the Basic modalities with. Deepen and enhance the effectiveness and thoroughness of your treatment for just a few dollars more! For those who prefer more pressure or who have holding closer to the bones themselves. Let the water soothe away surface tensions then ease into a deep relaxation with a glorious 40 minute bodywork session. Have the therapist focus on just the areas that gather tension or stress for you and be amazed at how much better you feel in a short time! more smoothly. There are so many changes that occur on a deep and surface tissue level, it's recommended to support the system and guide it into optimum alignment with balanced tensions. There are reflex areas in the hands and feet which correspond to various organs and systems in the body via nerve and energetic pathways. Reflexology stimulates those areas to help tonify them, release stagnation, and improve function. Working with these reflex areas has a calming effect on the entire body. Includes working out adhesions, mobilizing joints, and stretching, to maximize performance and reduce injuries. Developed in India centuries ago, this soothing style of massage uses a special blend of herbal oils to help clear stagnation from the system, balance and increase energy, and enhance well-being. This gentle osteopathic technique is a profound way to dive beneath sources of tension to release them from within. Contacting the energetic, fluid, and connective tissue systems that have become blocked or stagnant frees them into renewed flow and balance. The spine, cranial bones, pelvis and nervous system are gently encouraged to return to their original motion with ease and efficiency. The releases and levels of relaxation are as deep as the levels of nurturing support the body receives with this special method. Enjoy the additional depth of relaxation afforded by the perfect amount of penetrating heat from a natural source: stones. As the carefully placed stones open the pores and release tension in the muscles, the therapists combines Swedish and Deep Tissue massage strokes to further enhance the release of toxins, stress, aches and pains. The lymph system contain countless immune cells and is also an important part of the elimination process for waste in the body. Stress and stifled emotional can impeded the lymph and dampen the healing process. It's also very helpful after injuries or surgeries. It is a very gentle modality and feels wonderful. A specialty that's helpful for injuries, old and new. It works with the body's messages to the brain and creates the changes there so the brain doesn't return to the old pattern so easily. It can include movements to do at home so your body retains the new organization that happens in the nervous system and throughout the musculo-skeletal system. It's also invaluable for neurological conditions and brain injury. and treats orthopedic or more complex injuries. or balance over-stimulated brain nuclei along with the central and peripheral nervous systems. Any of these scenarios can produce pain, stiffness, or tight muscles that may not easily release if treated only with massage. The techniques are gentle, specific, and effective. Japanese acupressure which uses the meridian system and acupuncture points to facilitate energy flow throughout the body. Some say that all pain (not associated with tissue damage) is from blocked energy. These modalities are more clinical and therapeutic in a targeted way. In addition to the release, relaxation, and nurture of the Basic Bodywork, they also address specific layers of the system as a door into the source of symptoms. They include approaches like Shiatsu, Biodynamic Cranial Sacral Therapy, Visceral Manipulation (Internal Organ Treatment), Manual Medicine, NeuroMuscular Reeducation (Feldenkrais and Trigger Point), Lymphatic Drainage, and Brain/Spine Integration. Hot Stone Massage is included in the specialty category, more because of the uniqueness of the approach rather than the targeted areas it effects. Most of these modalities have their roots in Osteopathy and were developed by physicians. Treating on these levels have a direct effect on the musculo-skeletal system. Recent studies estimate that up to 90% of musculoskeletal issues arise from internal organ or gut issues. Many fascia, nerves and blood vessels are shared between these structures and if something effects one, the other areas will also be effected. Settling issues in the abdomen, pelvis and chest will help chronic problems with back, hip, shoulder and other joint issues immeasurably! It will also serve a much calmer nervous system, peace of mind, and an easier digestive experience. It is not to be missed! Combine it with a massage and you'll be a convert forever. Everything in our body is connected to everything else in some way. Issues seldom are isolated to one system, but usually involve nerves and vessels that are shared, ligaments and fascia that support or interpenetrate the area, and organs that are attached nearby. There is less likelihood that an issue will return if all the layers are addressed simultaneously. Whole Body Integration does that. You've got to try it! The last vestige of our old redwood tubs now has an acrylic insert. You can have the jets on or off and soak away the day in 104 degree filtered hot water. A new fiberglass and Italian tile round tub with a small bench and large adjacent patio lends itself well to having an outdoor massage in the summer after your tub! It's the favorite tub for families who want their children to join them. We have pool toys at the front desk for them if you or they like. All prices are per person, children 8 years and under are free. It seats 4-5 (depending on the size) comfortably and has magnificent jets that can be controlled from the deck. Buy a package of three half hour hot tubs in tub #1 for $30. Commit to taking better care of yourself, one soak at a time (and save $6)! Decide to take more time to take care of yourself and earn this great discount for spacious tub #3. Prepay for 3 half hour tubs and schedule them at the time that works best for you for just $9.75 each until June 1st. Our sauna is lined with fresh red cedarwood and had adjustable temperatures. Most clients prefer the range from 150 to 170 degrees. It's possible to add water behind the rocks to release steam into the room for a little more penetrating heat, a little more sweat and a stronger detox effect. A spray bottle with filtered water is also on hand in case you want to mist the rocks during your session. We use aromatherapy with (if you like) essential oils of rosemary, peppermint, lemon and eucalyptus in the sauna before you session to enhance health benefits. There's a cold shower adjacent to the sauna for contrast to increase circulation, or to close your pores afterwards. Many people like the sauna and hot tub combination to give the body tastes of both dry and wet heat, interspersed with cold showers to stimulate circulation. Upgrade your detox experience in the sauna by including a scrub with our authentic salts from the Dead Sea or pink salts from the Himalayas. while sloughing off dead cells from its surface. It strengthens the immune system while increasing the capacity for cellular communication and detoxification. Take a cool shower after to rinse off what your body eliminated and close the pores. You'll come out glowing! Apply either Kaolin (for sensitive skin) or French Green Clay that includes a balancing toner with a detoxifying sauna. It takes about 15-20 minutes for the Green clay to dry, whereas the Kaolin clay is dry in about 5 minutes. Enjoy soothing time in the tub, take a cool shower for contrast to increase your circulation, then switch to the sauna for increased benefit to the immune system. This tub is right next door to the sauna but is a little smaller than tub #3 with fewer jets and a smaller deck area. Luxuriate while you exfoliate and detox with our special ordered dead sea salts (self-applied) and French green clay. Ease away the soreness, stiffness and stress in the warm water, then take a cool shower with the salt scrub, rinse and apply the clay. Give yourself at least 20 minutes in the sauna to let the clay dry, then rinse with cool water and apply toner to balance the skin's ph. This is the preference for most couples and groups since it has more jets with a larger patio area, a bench and lawn chairs to relax in. It's a few feet farther from the sauna, but worth it for the space if more people are coming along. For a few dollars more, include an exfoliating scrub after the hot tub. The warm soothing water relaxes and opens the skin, then a gentle, fine salt from Israel's 3 million year-old placid sea filled with dozens of enriching minerals cleanse and nourish the skin. Follow up with a therapeutic massage to enhance circulation and deepen cleansing releases. This combination allows the deepest cleansing with a selection of three different clays from choice spots in the world to match a skin type. Following a hot shower, the one you care about will apply French green, Moroccan red, or Bentonite clay on the face, neck, skin irritations, pimples, etc. They will then sit in a cedarwood sauna by candlelight with essential oils diffused into the room to allow the clay to do its healing work. A cool rinse precedes the therapeutic massage of your choice or of his or her preferences. There are at least half a dozen to choose from. They'll ease off surface tensions with the hot tub, shower with the salt scrub, apply the clay of their choice and rest in the cedar sauna while the clay absorbs toxins and nourishes their skin. a balancing toner is applied after the clay is rinsed off with a cool shower, then the massage begins! This combination allows a choice of several more styles of massage and bodywork that address more layers and areas of the body. It includes modalities like Shiatsu, Visceral, Ayurvedic, Lymphatic, Cranial Sacral, and Neuromuscular work. This is for the person who could use a little extra focus on specific issues that may be in their body in addition to the relaxing nurture of a Swedish, Prenatal, or Sports massage. If there are any auto-immune issues, digestive concerns, acute or chronic aches or pains, surgical scars, headaches, or neurological conditions, let them benefit from the additional techniques offered in this category. Include many more varieties of techniques by using the specialized options for a person with certain physical issues that need further resolution. An additional $5 goes a long way in this category. This fantastic package offers an hour of tub or sauna before the advanced bodywork to enjoy additional time to cleanse and nourish the skin. A thoroughly refreshing, healing way to go! Experience professional guidance and support with helpful modifications in a small group. In these small classes there is time for much more personal instruction to be sure your alignment is correct and insure optimal benefit with minimal strain. Whether you're a beginner or advanced practitioner, there are details within each posture that increase energetic flow, balance muscle activation and optimize weight bearing through the skeleton. It's always helpful if not advised to have individualized instruction because every body is unique and each person is at a unique phase with their body. Imagine your spine lengthening, your hips opening, your shoulders releasing, all without your doing a thing. Ah, this is the bliss of a Thai yoga massage, an ancient healing art that is said to date back to the time of the Buddha. Thai massage can feel like a nurturing, effortless yoga practice in which your partner moves your body in and out of postures, enticing your muscles into gentle stretches and your mind into deep relaxation. Legend has it that the practice began in India more than 2,500 years ago, then migrated to Thailand, where it was performed in temples and regarded as a spiritual practice. "If you're pregnant and looking for ways to relax or stay fit, you may be considering prenatal yoga. Good for you! But did you know that prenatal yoga may also help you prepare for labor and promote your baby's health? Before you start prenatal yoga, understand the range of possible benefits, as well as what a typical class entails and important safety tips. Decrease the risk of preterm labor, pregnancy-induced hypertension and intrauterine growth restriction — a condition that slows a baby's growth." For the first time, and for a limited time, Shibui is offering a trilogy of marvelous children's books called, "The Magical Adventures of Kikoo"
Boonie, who happens to be a husky dog, accompanies him on a series of trial and error tasks where, with the help of angelic beings, Kikoo learns how to use the secrets he's being taught. Visit www.onesky.biz for a digital download. Allow 7 business days for delivery of the paperback version; tax and shipping charges apply. In the second book of the series, Kikoo meets a new young apprentice as well as a new set of mentors to prepare him for his next mission. the risks connected to the mission also increase in this exciting sequel. For a digital download, please visit www.onesky.biz and select the "Children's Books" tab. Allow 7 business days for delivery of the paperback version; tax and shipping charges apply. A new group of 'rainbow' children join Kikoo, Boonie, and other helpers for the most challenging mission yet. The kids have a great time playing with and controlling their new abilities while responding to the sense of urgency required to succeed in the next task. There are surprises at every turn that keep the children and their mentors on their toes! Visit www.onesky.biz for the digital download version; tax and shipping costs apply for the paperback version. Allow 7 working days for delivery, or request expedited delivery. Purchase all 3 Books at a discount, and enjoy the entire range of fun, magical experiences the young, adorable Kikoo and his friends face. Each child has a distinct personality with specific strengths and weaknesses that they must learn how to overcome with the help of their mentors and guides. The parents and mentors are included in the testy situations that must be navigated with care and bravery. Visit the website www.onesky.biz for the digital version; tax and shipping charges are applicable for the paperback series. Please allow 7 business days for delivery, or request expedited delivery. Take the time to have your facial done in the most complete and luxurious manner possible. This signature facial does more than revitalize your skin – it gives you an experience of rejuvenation. Our professional extractions will clear clogged pores. Our attentive massage for your face, shoulder and hands will promote circulation, tone muscles and release tension. You will feel relaxed and your skin will radiate a youthful glow. This is our signature facial for our gentleman customers. Our masks vigorously clear pores to make way for healthy skin. Our massage for your face, shoulder and hands will promote circulation, tone muscles and release tension – you will be surprised how much more at ease you will feel. Good looks begin with good skin! We carry only the best quality wax made with essential oils that are formulated to help those with sensitive skin and minimizing any pain or discomfort. Our Specialty wax allows us to give a more thorough, pain-free waxing experience.